December has begun, and the New Year will come before you know it. With all the holiday planning and celebrations that take place this month, taxes and retirement might well be the last things on your mind. Yet if you do take the time to do a little simple financial planning before 2014 comes to an end, the payoff can be huge tax savings that can last for the rest of your life and beyond. Most people are familiar with individual retirement accounts, as they're one of the most popular tax breaks that people take advantage of well into tax season. Thanks to the way the tax laws work, you can make an IRA contribution all the way until the April 15 deadline and still have it be treated as if you'd made it in 2014. 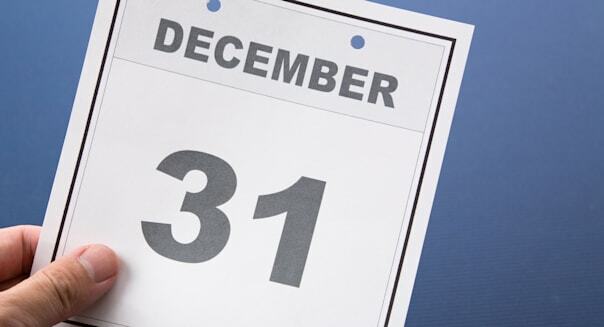 But there's one strategy that you'll lose if you wait until after Dec. 31 -- and that could make you miss out on the best opportunity to put it to your advantage. Among retirement accounts, Roth IRAs have unique advantages. With most retirement accounts, you're rewarded when you make your initial contribution by getting a tax deduction for the amount you deposit. That reduces your current-year tax liability and gives you tax-deferred growth as long as your money remains invested within your retirement account -- but it also means that the withdrawals you make from those accounts in retirement will be fully taxable, causing your taxable income to balloon higher. Roth IRAs, on the other hand, allow you to make withdrawals completely free of tax, letting you keep more of your hard-earned retirement money when you need it most. Not everyone can contribute to a Roth IRA; income limitations apply that prevent some people from making direct contributions. What anyone can do, though, is convert an existing traditional IRA to a Roth IRA. This backdoor method has no income restrictions under current law and can be your gateway to long-term tax savings. Of course, when it comes to the IRS, nothing is free, and Roth conversions have a catch: You have to include the amount of money you convert to a Roth as taxable income in the year you convert it, meaning that you'll pay more tax in April if you convert in December. That's why Roth conversions don't necessarily make sense for everyone. But for many people, converting an existing retirement account to a Roth IRA does have some advantages, despite the added short-term tax burden. Specifically, Roth conversions are best for those who have relatively little taxable income. By converting, you essentially lock in your current tax rate, so if that rate is low, converting to a Roth can help you make the most of it. Several situations can create a good opportunity for a Roth conversion, including a temporary drop in income, large amounts of tax deductions, or the availability of tax credits that would otherwise go unused. If you expect your income to go up markedly in 2015, then it's especially important to consider the Roth strategy in December. All the same, it's important to consider all the ramifications of a Roth conversion. Because converting boosts your taxable income, it can also take away other tax benefits you might receive, such as exemption of Social Security benefits from taxation or leaving you ineligible for certain low-income tax breaks. It's essential to weigh the negatives of those lost benefits against the potential long-term positives from converting. Perhaps the best aspect of the Roth conversion is that if things don't go as well as you'd expected, you can undo it and end up in exactly the same position you were in before you converted. For some, undoing their conversion lets them take advantage of a decline in their investments to reduce its tax consequences. For others, a do-over lets them take unexpected changes in income into account. In any event, under the right circumstances, you can undo a Roth conversion as long as Oct.15 of the year following the conversion if you take measures to maximize the length of time you have. A Roth conversion can bring some short-term tax pain, but the long-term gain can lead to hundreds of thousands or even millions of dollars in your retirement account being completely free from future taxes. That's a tradeoff that's worth considering, especially for those whose tax situation is only likely to get worse in the future. Motley Fool contributor Dan Caplinger loves to look for smart tax tricks. You can follow him on Twitter @DanCaplinger or on Google+. To read about our favorite high-yielding dividend stocks for any investor, check out our free report.